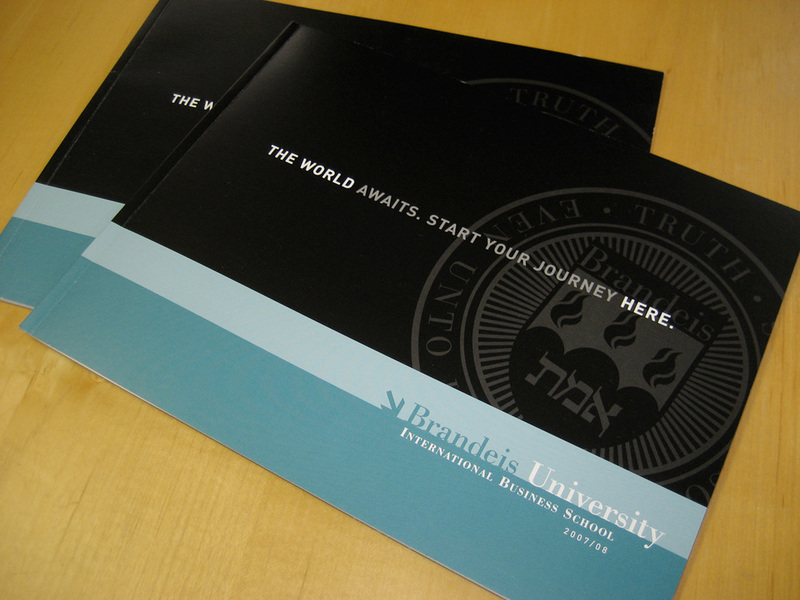 Our relationship with Brandeis IBS spans 18 years—allowing us to design materials based on years of experience and an intimate understanding of the school’s history and evolving global mission. 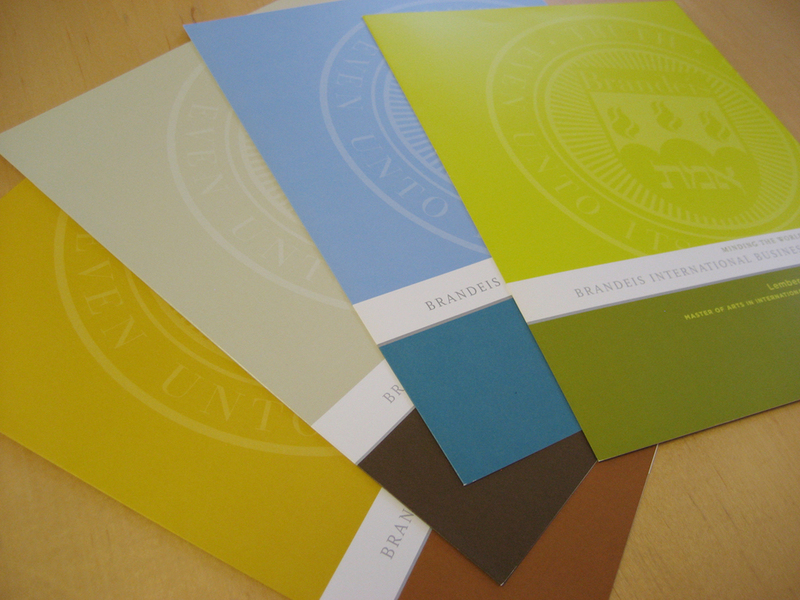 IBS needed a fresh contemporary look for their printed catalog and program brochures. The catalog and program brochures feature individual student profiles connecting their work to the overall mission of the program. We created a fresh color palette, commissioned stylized student portraits and merged the two for a modern look. 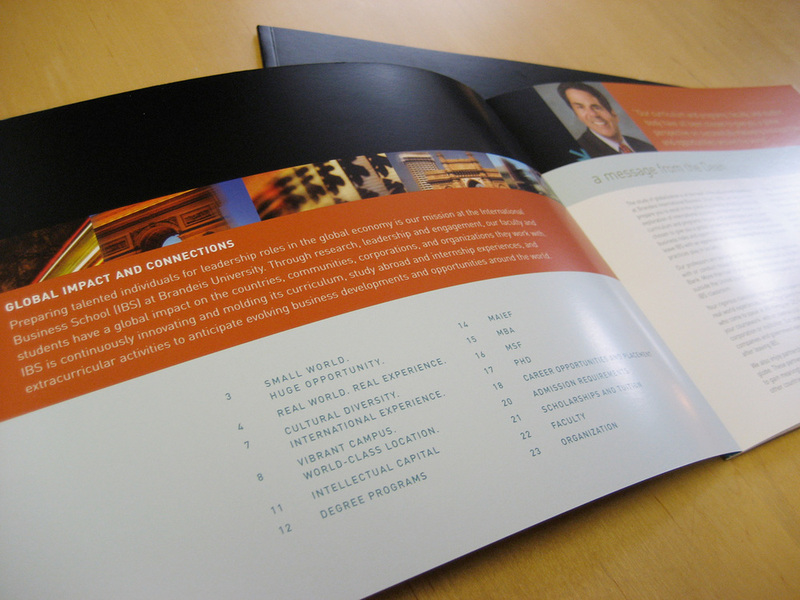 The catalog's landscape format is a departure from other competing business school materials and strives to reflect the unique, dynamic nature of the school.